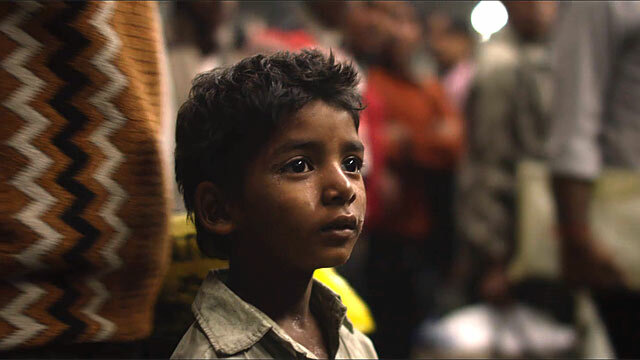 Garth Davis’s “Lion” is based on the true life story of Indian Saroo Brierly, who, at the age of 5, inadvertently wound up on a decommissioned train that carried him all the way from his poor village in Central India to Calcutta, nearly a thousand miles away, where he survived on the street until he was taken to an orphanage before re-settling with adoptive parents in Tasmania. It was there, twenty-five years later, that he initiated a search for his biological family, eventually finding them in one those unbelievable tear-jerking, heartwarming tales tailor-made for awards bait on the silver screen. Certain elements of “Lion” are assuredly awards bait-y, because the Weinstein’s would not have put their producing muscle behind it otherwise, like the over-insistent piano score desperate to ramp up your emotion when so often the inherent emotions of the scene themselves would have managed the trick all on their own. The concluding sequence, meanwhile, recounting the poignant reunion of son and mother cannot help but involve the entire village. Perhaps that’s the way it really happened, but in the film’s overly sentimental staging it hews a little too closely to Colin Firth’s heroically cornball concluding quest in “Love Actually.” Still, despite its occasional indulgences, “Lion” is never overly claptrap-py, unafraid to linger in the dark even if you can’t help but wish for it to have a little more interest in psychologically unpacking what plunges its main character into the darkness in the first place. The early sequences of five year old Saroo, played by Sunny Panwar, at home in his village, trapped on the train and lost in Calcutta, get by predominantly on Panwar’s striking big eyes. Initially those eyes are filled with wonder and envy for his brother Guddu (Abhishek Bharate), in whose company he primarily remains. In the sequences after he and his brother get separated, however, that wonder is replaced not so much with fear as a kind of quiet awe for the wonders of the big world, occasionally replaced by suspicion, such as when a woman briefly takes him in. This is the closest “Lion” truly gets to rendering Saroo as being in peril, preferring to stick closer to more of a storybook aesthetic, where all these news sights and sounds becomes strangely moving. Frankly, it is easy to envision an entire movie where Saroo fends for himself in Calcutta, just as a fairly clever filmmaker might have rendered an entire film simply out of Saroo’s train ride, just as another filmmaker might have found a whole movie in Saroo being raised by his foster parents, Sue (Nicole Kidman) and John (David Wenham) Brierly, which is complicated when they adopt a second child, Mantosh (Divian Ladwa), who struggles to adjust and lash out. 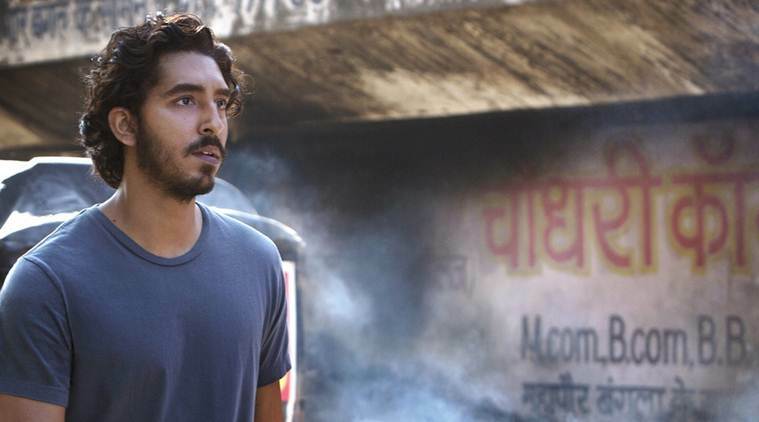 In particular, Saroo’s new home life is a storyline that is condensed, principally by necessity, moving him in, establishing the particulars and then flashing forward twenty years, where Dev Patel takes the acting baton from Pawar. John Brierly is a nonentity but Sue is afforded some depth, particularly in the rich performance of Kidman who can pack all the hurt and neuroses of bringing up the problematic Mantosh into a single laugh that she deliberately stifles with a sip of wine. Eventually she is afforded an entire monologue, delivered to Saroo, about what led her to adopt rather than have children. It relates to a vision and Kidman has Sue delicately waver between something like a true believer and being off her rocker, never betraying one or the other because Kidman makes both true at once. If this gives a window into her motivation, the motivation for the movie’s foremost hook, Saroo wanting to locate his real family, is oddly lacking. Davis gives it the flashback treatment, tying it back to a Proustian moment in which Saroo happens upon some hot peppers at a dinner party that relate directly to his youth. This Proustian moment is enough to suddenly raise his desire to re-engage with the past, yet the darkness he subsequently plunges into as he ignites the search remains frustratingly unexplored, limited to obvious visual cues like Saroo’s longer hair and shots of him sleeping on his sofa or staring forlornly out the window. And just like his girlfriend Lucy (Rooney Mara) continually tries wresting from him exactly what he's feeling only to get no answers, the movie cannot really provide them and Patel cannot either. No, it is less about the emotions involved with trying to find his family then simply the act of trying to find his family, which he does with a massive Google Earth assist, narrative-excused product placement, suspense rather than psychology. “Lion” is very much about the journey, but sometimes it seems overly focused on the destination.